One of the best parts of being an atheist, I am now discovering, is the ability to partake in Hindu festivals without being guilty of idolatry. Today I got to experience my first Diwali Puja, as well as a general feeling of claustrophobia. While Indian people may have no qualms about fitting thirty people into a small 2-bedroom flat, I with my open grasslands heritage gained a renewed appreciation for the plight of sardines. But the company and the food more than made up for the lack of oxygen. 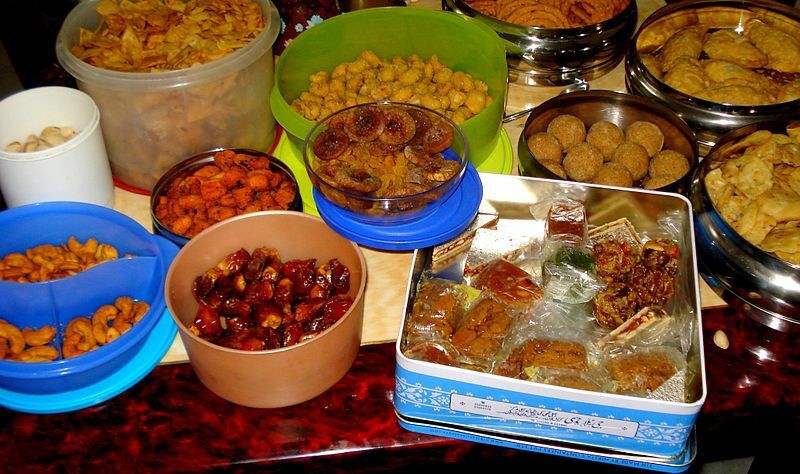 The wide variety of sweets, both homemade and store-bought, brought great joy. I shall have to continue this tradition of celebrating the secular aspects of every festival and holiday that I can. With the sheer number of disparate cultures and religions on the globe surely I can find cause for celebration every day of the year.